CRS is a US – based humanitarian and development organization working in over 100 countries around the world to assist people victims of disasters, people in need and the disadvantaged regardless of race, belief or nationality.. CRS has been operating in Indonesia since 1957 under the Memorandum of Understanding with the Ministry of Social Affairs to provide both humanitarian response and long-term development to the most vulnerable communities. CRS Indonesia’s current strategy includes emergency preparedness and response, disaster risk reduction, and integrated agriculture and livelihoods. The program officer will support senior program officer in implementation of the project activities in collaboration with Implementing Partners and other relevant stakeholders including community leaders and members in the target areas. The Program Officer will also organize and coordinate project activities at community level under guidance from the DRR-SPO and in consultation with implementing partners, BPBD and community local leaders, including facilitation of various DRR and Savings and Internal Lending Communities (SILC) trainings at the community level. This position will be based in Palu, with regular travel to, Donggala and Sigi for implementation of program activities, coordination meetings with related stakeholders and other implementing partners. Graduate degree (S1) in development, social sciences or related field. Has experience in applying participatory tools and is able to facilitate Focus Group Discussion (FGD), interview, observation and survey. CRS encourage qualified candidates to apply regardless of religion, race, gender, sexual orientation or disability, all recruitment practice and procedure reflect CRS commitment to protection children and vulnerable adult from abuse. Only applications that meet the above qualifications will be shortlisted. 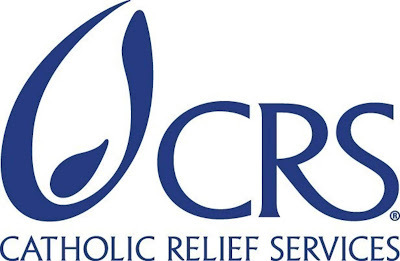 All applications and CVs should be sent by email to CRS Indonesia at Indonesia_HR@crs.org before or by April 19th, 2019 with the Job Code in the subject.